Social media related activities can take up hours of your time. And let’s face it, your time is precious. Fortunately there are plenty of tools on the market that can help save you time when it comes to managing your social media marketing. By utilising these types of social media tools correctly you can spend more time doing other things that can help your business. In this post I am going to show you a selection of these tools that cover off a number of different social activities that you can use to boost your productivity. 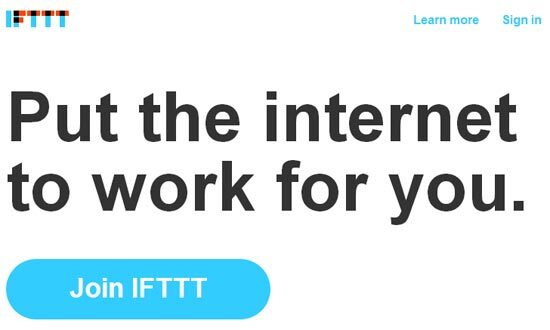 IFTTT stands for ‘If this, then that’. It’s one of the most incredible tools I have come across just because of how you can use it to do absolutely anything. Well, ok, not everything – but a lot! The way it works is you start off by activating social channels. You can use anything from Buffer and App.net to BuzzFeed and Dropbox. More channels are being added all the time too. So the idea with the example above is if a new item is published to my Pinterest feed then it will get added to my Delicious bookmarks automatically. Don’t worry too much about setting up your own recipes because you will have plenty of shared recipes to choose from. Managing relationships is difficult in the world of social media. Robin Dunbar, an evolutionary anthropologist has cited that we can approximately cope with 150 friends because our brains just can’t cope with any more. 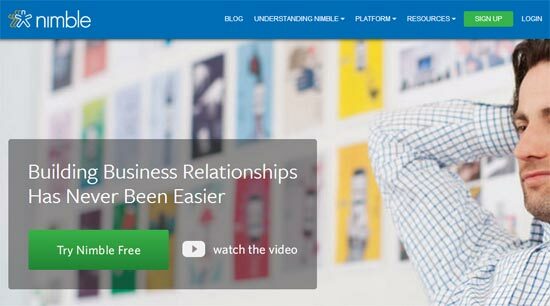 There are plenty of relationship management tools on the market but Nimble has a key difference. It pulls in conversions from almost everywhere. Social media, emails, messages and contacts – Nimble brings them all together. When you add a contact to the system Nimble will pull in as much data as possible from social media and other places and even analyse why a contact is relevant to you. There’s a 14-day free trial and a free account available so it’s worthwhile seeing how much time Nimble can save you. 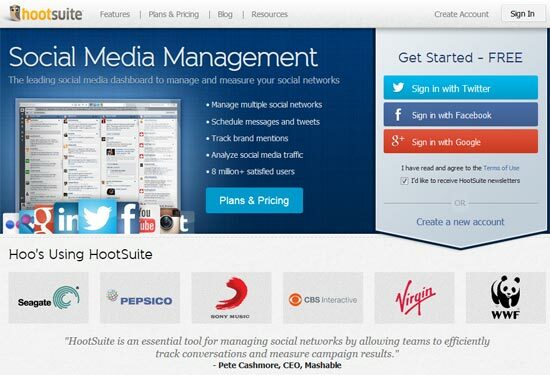 I’ve tried and tested a lot of social media management tools and while there are a lot of different platforms that are useful for specific things, Hootsuite is one of the best all-rounders on the market. Specifically when you look at price vs features. There’s support for plenty of social profiles, you can access your account on mobile devices and it puts all of your conversations in one place. There’s also a template feature for times when you find yourself repeating yourself and a scheduling feature that allows for bulk uploads to make scheduling easy. Another feature that doesn’t seem to be as widely used as it should be is the ‘Hootlet’. The Hootlet allows you share from anywhere at the click of a button and give you full access to the usual scheduling functionality that you get from within Hootsuite with the addition of an ‘AutoSchedule’ button. When you click a tweet button on a blog post you will also see a ‘Hootlet’ button similar to what Buffer does. Buffer is a huge time saver. Just add updates to your buffer and set the times when you want your buffer to publish the updates and you’re away. A URL shortener is built in and you get access to some very helpful analytics along with content suggestions from other Buffer users to share with your followers. 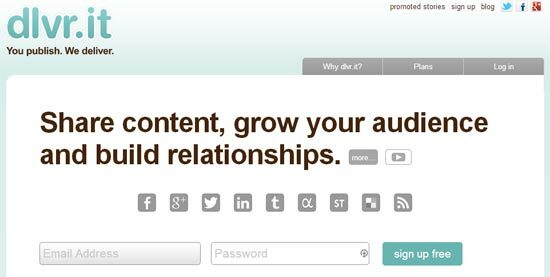 Dlvr.it is a social syndication tool that makes it very easy to share your content through social media. You can add RSS feeds and add social profiles and then choose which posts go to which social profiles based on particular filtering options. 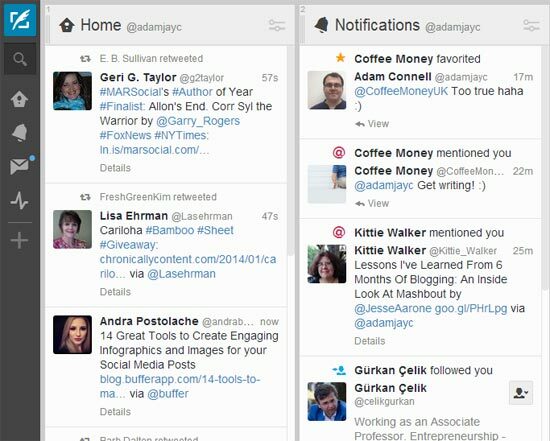 You can also drip feed social updates so you don’t cause friction between your business and your followers. I have to say that I do notice better results from manually written social media updates and some people are against social automation altogether but if you don’t have the resources within your business then this is an interesting option. If you’re looking for an easy to use tool to help you manage your Twitter profile easier then Tweet Deck is a great option for you. Twitter acquired Tweet Deck in May 2011 and it was an important move considering that Tweetdeck had a reported market share of 23% in 2009. More recently in December 2013 Twitter started allowing users to sign into Tweetdeck using their existing account details. There’s plenty of features and it’s free. RiteTag is a helpful tool that makes sharing on Twitter quick and easy with the help of either the Google Chrome extension or Firefox add-on. You can also use the web app if you prefer. Just click the RiteTag button and the post title and URL will be pulled in with the option to auto schedule or schedule at a specific time. The real magic with this tool happens with hashtags. The tool makes it really easy to monitor the performance of your hashtags, perform audits on your tweets along with other useful features. I’ve been trying RiteTag off and on for a few months now to see what difference I can make with particular hashtags and it’s been great. According to Buffer, Tweets with hashtags get x2 more engagement so it’s worth testing and RiteTag makes that easy. You can track the # of times used, average click through rate, average retweets and average favourites. I’m looking forward to seeing how this tool develops. 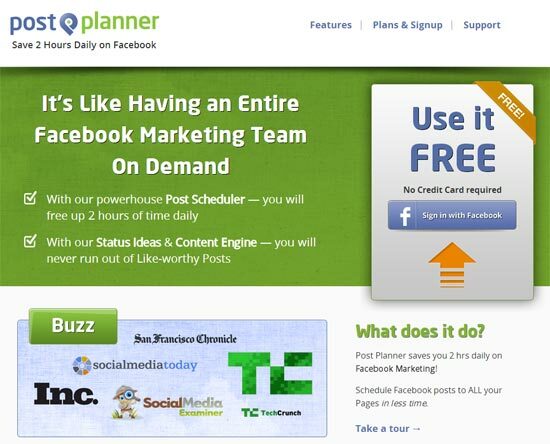 Post Planner is a Facebook specific platform designed to help you save time. You can use it to find better content to share with your audience, target the right locations & demographics and schedule your updates. You don’t have to login to a different system, you can access Post Planner right from within Facebook. No software to download or opening various tabs. If you find yourself managing multiple Facebook pages you will definitely find this useful. I’ve found that social media consumes a lot of my time and I’m sure it’s the same for you. Without these types of tools I can see myself spending a lot more time on social media and my time is in short supply. I do find myself using a combination of tools, there’s not a single tool that covers everything 100%, although there are some like Hootsuite that come quite close. And this is definitely not an exhaustive list because there are an incredible amount of tools available right now. 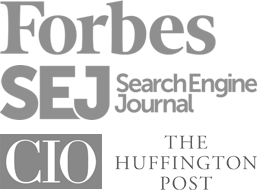 Which social media tools do you find save you the most time? And why? We would love to hear more in the comments below. Adam Connell is the founder of Blogging Wizard, where he shares actionable strategies to grow your blog like magic. Fan of Chinese takeaway, Firefly and all round digital marketing addict.